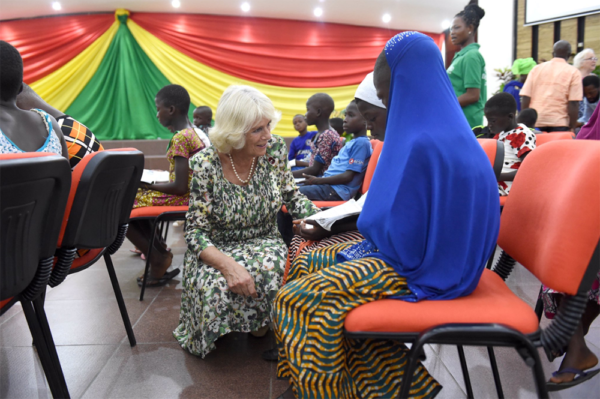 Yesterday Her Royal Highness the Duchess of Cornwall visited a Ghana Complementary Basic Education (CBE) classroom and met with CBE learners in Kumasi, where we’re working with the Ghanaian government and local partners to get the out-of-school children back into education. The Duchess’s visit comes at a critical time for education in Ghana, after the government recently committed to continue the Complementary Basic Education to reach the remaining 450,000 out-of-school children. Over the course of the DFID-funded CBE programme, almost 250,000 children have been given access to quality basic education.